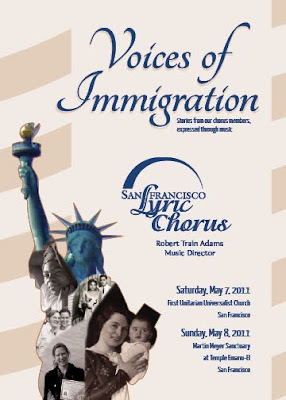 Next Saturday and Sunday (May 7th and 8th), my choir the San Francisco Lyric Chorus has its Spring concerts. After almost a year of being a member, I can finally be part of a performance (for the first I was in a wedding and the second I was in Africa). The pieces were chosen with the personal immigration stories of chorus members in mind. For instance, there is one tenor whose family is Cajun via French Canada, so we are singing a couple French Canadian tunes. There are songs specifically about leaving the Old Country and arriving to the New World. We'll also be performing the beautiful Shape Note tune, "How Can I Keep From Singing." I have a solo in one of the Yiddish tunes. It's short, but very beautiful. I submitted my family's story of immigration and it, along with a photo or two, will be featured in the program. 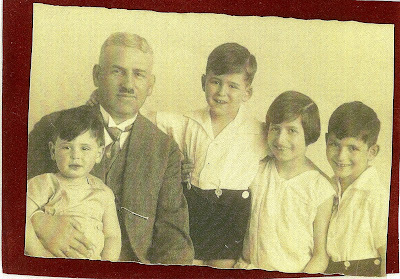 My grandmother was born in Danzig, Germany (now called Gdansk and part of Poland). She and her three younger brothers were able to get out of Germany before 1940. I now have family scattered across the globe from Brazil to Australia and Israel to England. The Boss Family: (front) Georg, great-great-grandpa Louis, Peter & Dorothea. (back) Hans, Lori and Walter; 1939 Danzig, Germany. When my great-grandparents could stay no longer, they left my great-great-grandpa Louis and got on a boat set for Palestine. Due to the British blockade, the boat was rerouted to Libya. Then a Jewish-Italian organization brought them to Southern Italy and shuttled them from refugee camp to refugee camp (including possibly a prison) until they settled in the small hill town of Cancellara near Naples. They lived there in relative hiding for three years, living among poor Italians. In 1944 they were able to get on the ONLY U.S. Government sponsored refugee boat (it's so sad there weren't more). 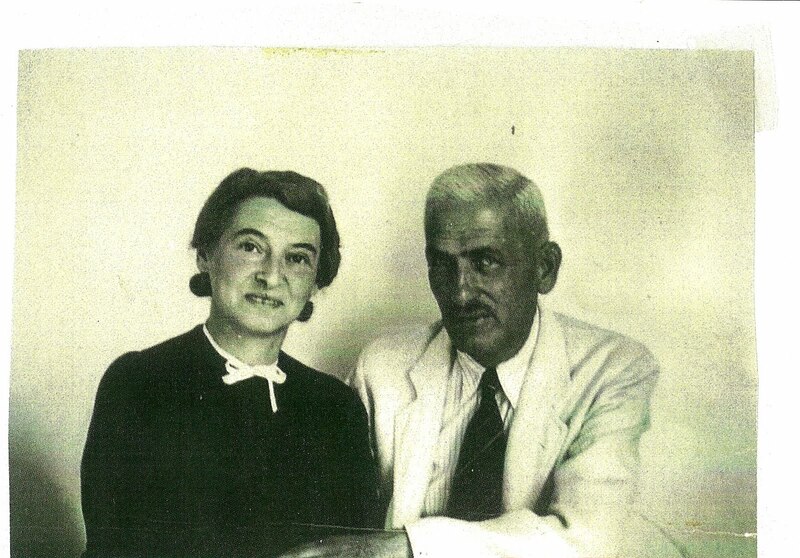 They were two passengers of one thousand Christian and Jewish refugees. Three thousand applied to be on this boat. There is a book about it called The Haven by Ruth Gruber. The boat docked in New York and my great-grandparents lived in Oswego, until their citizenship went through. 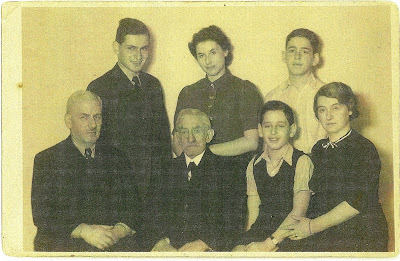 Then they moved to Los Angeles to be near my grandmother and one of my great-uncles. One of the most amazing things about this story (there are many) is that my grandmother did not know where her parents were or even if they were still alive. It's also amazing that poor Italians welcomed my great-grandparents into their community for several years. I'm thinking of going to Italy to collect aural histories if at all possible. I have a box full of photos, they are such a trip. I also have some letters and military papers I'd like to get translated. Anyone know German well? Anyway, if you're in town, come see me sing next weekend! Thanks for sharing such a beautiful story!